Hi friends! Hope you are all having a great week so far! Not much to report over here. I'm looking forward to the long weekend. 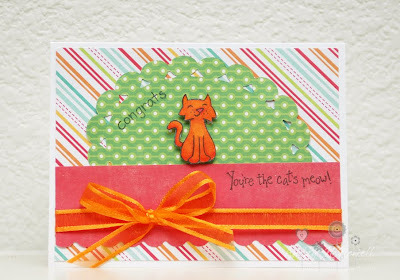 I just wanted to blog a couple cards I made with the sketches of at the PaperWorks Co Blog before time ran out. I've been so behind lately, I feel like I'm always blogging things a day or two late so I'm just gonna put these up before I forget! My first card is based on PWCO #86. I decided on some Lawn Fawn stamps and some Echo Park paper. For my second card I used the PWCO sketch 85. I used some Basic Grey Wander paper for this with an SRM Sticker. I made this for our friend Vince who is currently in the hospital after being hit by an intoxicated driver. It's been a couple weeks and he's finally getting to the point where he can have visitors. If you'd like to add him to your prays, that would be appreciated. He served several tours in Iraq and Afghanistan with the Army and was a policeman before going into the Army to serve our country. Great cards! 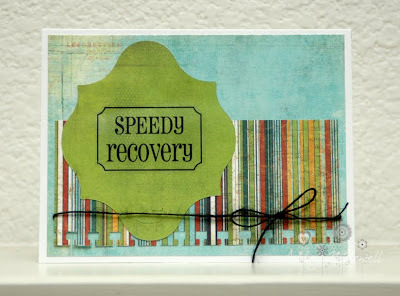 Super speedy recovery wishes for your friend! So sweet!! They are both adorable! !